It is the old and the young most at risk from infectious gastrointestinal illnesses in Canadian Inuit populations. Photo Source: Wikimedia Commons. From India to Canada, today we see the water related challenges another group of people face as a result of changing climate. A multi disciplinary study published recently in the journal EcoHealth has found that the effect that climate change will have on the hydrological cycle is likely to increase the risk of waterborne disease for the indigenous Inuit in Canada. This study looked at visits to medical clinics by people with infectious gastrointestinal Illnesses (IGI’s, aka tummy bugs) in two remote Inuit communities in Labrador, Nain and Rigolet. The study was carried out by researchers (epidemiologists, climatologists, and hydrologists), as well as community members, and both local and central Canadian government. From data gathered by statistics Canada in 2004, 34% of Canadian Inuit reported that there were times during the year when they thought their water was contaminated, with 18% feeling that it was unsafe to drink their tap water. In the community of Rigolet (with a population of 269 people), 100% of resident Inuit felt their drinking water was not safe at certain times of year. 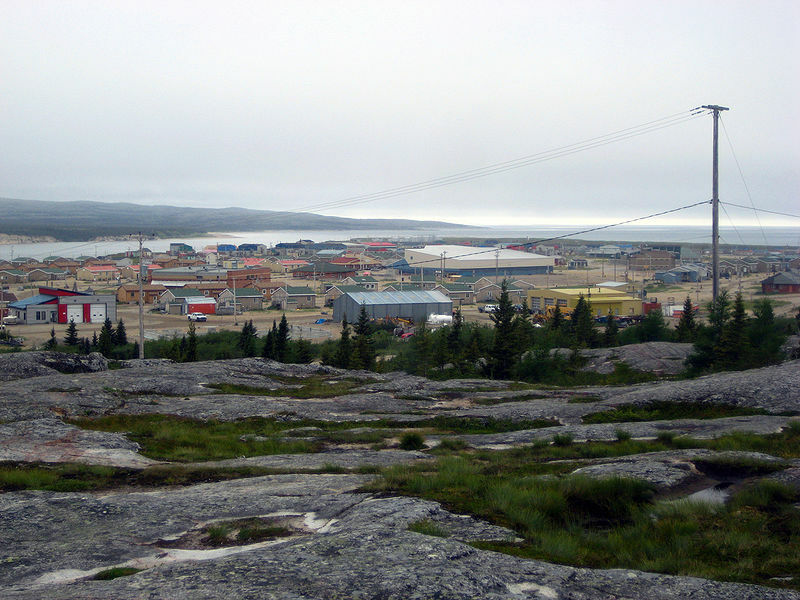 Remote Inuit communities such as this one often have higher negative health indicators than the general Canadian population. Photo Source: Wikimedia Commons. Recently, the local weather in the area has been changing, with higher temperatures, more intense and frequent storms, and changes in rainfall pattern. Heavy rainfall and rapid snowmelt increase water speed (velocity), overland flow, and shallow subsurface flow of water to rivers. This in turn may increase sediment loads in waterways and transport harmful pathogens such as E.Coli. Many Inuit prefer to drink water from streams and rivers rather than treated from tap, and in some remote regions, it is all they have access to. 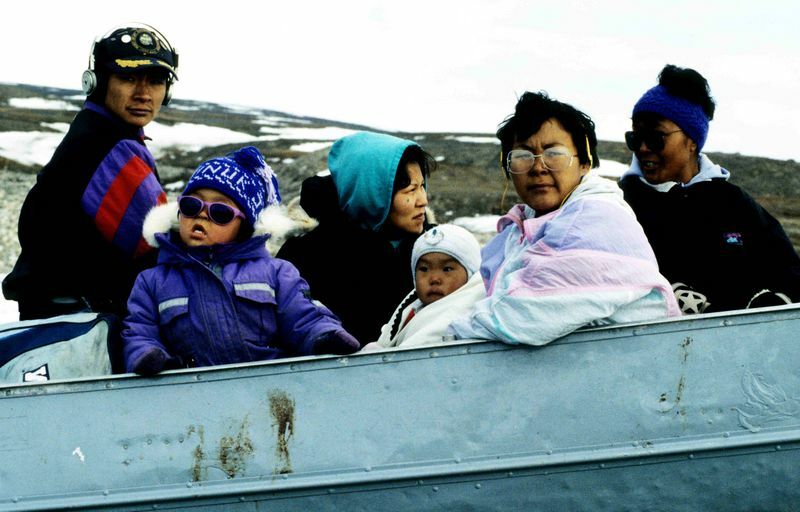 Canadian Inuit often live subsistence lifestyles, with higher rates of tuberculosis, infant mortality, and shorter life expectancies than other Canadians. This study found that those who drink untreated brook (stream) water appeared to be at greater risk of exposure to pathogens, than those who did not. Visits to medical clinics for IGI’s were higher in the weeks after heavy rainfall. As heavy rain is predicted to increase with the changing climate, the study suggests that this pattern will be exacerbated. Those most at risk appeared to be young and elderly women, and it was suggested that this was the case due to higher exposure to pathogens during food preparation. I found it interesting that in this study, the senior age group was 65+ rather than 75+ as there were so few people older than 75, due to the shorter life expectancy of Inuit people. With so few people over the age of 75, it was impossible to ensure that data gathered in this age bracket could remain anonymous. The study concluded by suggesting that more needs to be done in terms of treating drinking water to protect public health in the future with the effects of climate change. 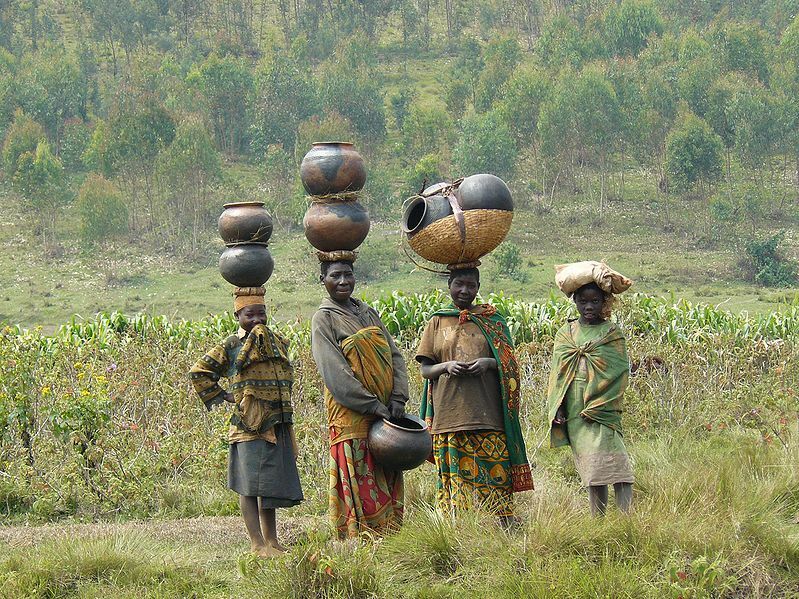 Other indigenous communities around the world, such as the Batwa people of Equatorial Africa, also struggle with changes in their environment as climate change progresses. Many indigenous communities are especially vulnerable to climate change as they live closely with, and rely on, the natural environment. This increases the effect on the population of even subtle changes in the climate. It is rather ironic that this is the case, as indigenous communities often live in sustainable ways, in harmony with the environment. Indigenous populations in general have substantially lower carbon footprints than non-indigenous communities, who are more shielded from climate change because of their distance from the natural environment. However, non-indigenous people are not immune to these issues. It has been said that indigenous people often act as a ‘crystal ball’ and show what is likely to become a widespread phenomena in the future. This study was conducted as part of a larger collaboration by the IHACC (Indigenous Health Adaptation to Climate Change), which works with indigenous people around the world, including in the Arctic, Peru and Uganda. Harper, S.L., Edge, V.L., Schuster-Wallace, C.J., Berke, O., McEwen, S.A. (2011) Weather, Water Quality and Infectious Gastrointestinal Illnesses in Two Inuit Communities in Nunatsiavut, Canada: Potential Implications for Climate Change. EcoHealth, Vol. 8 (1), 93-108.